Killarmy (pronounced Killa Army) is an American hip hop group, most well-known through their affiliation with the Wu-Tang Clan. They are one of the earliest and most successful of the many Wu-Tang affiliates that emerged in the mid-to-late 1990's. 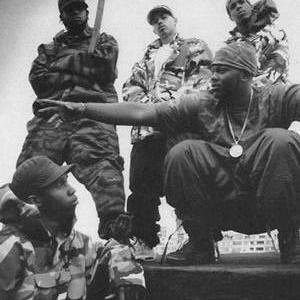 Originally consisting of New York rappers 9th Prince (RZA's younger brother), Islord, Dom Pachino, Killa Sin and Ohio producer 4th Disciple, they added Beretta 9 and Shogun Assasson to the roster in 1996, also from Ohio. They distinguish themselves from the other affiliates with gritty subject matter, differing from the standard subject matter of martial arts common to Wu-Tang and their affilates and focusing on themes of military and combat. Killarmy released numerous singles from 1995 to 1997, including "Swinging Swords" and "Camouflage Ninjas" as well as the Sunz Of Man collaborations "Wake Up" and "Soldiers of Darkness". The album Silent Weapons For Quiet Wars was released in 1997 just after the release of the Wu-Tang Clan's second album, as well as a 12" single containing two tracks from the album, "Wu-Renegades" and "Clash of the Titans". Shortly after the group's manager General Wise was shot dead in Steubenville, but the group pressed on undeterred, appearing on the Wu-Tang Killa Bees: The Swarm compilation and each making numerous appearances on other Wu-Tang projects from the Clansmen themselves and from other affiliates. The group's second album Dirty Weaponry was released in 1998 and the third, Fear, Love & War was released on September 11, 2001. In 2002, the group received some controversy following the Washington D.C. sniper attacks. On an episode of Tim Russert's Meet the Press, Russert and Montgomery County police chief Charles Moose stated that Killarmy influenced the shootings, and referenced a number of lyrics to support the claims. Despite the press attention, nothing materialized from the accusations. In 2002, Dom Pachino became the first group member to release a solo album, with Tera Iz Him. 9th Prince followed in 2003 with his solo debut Granddaddy Flow. ShoGun Assasson is rumored to be the next member to release a solo album.